Package includes (6) Zippy Looms, (1) Zippy Corner, and (1) Zippy Connector set. Save $ by ordering in bundle! This is the biggest Zippy package to date! It includes (6) Zippy Looms, (1) Zippy Corners, and (1) Zippy Connectors. 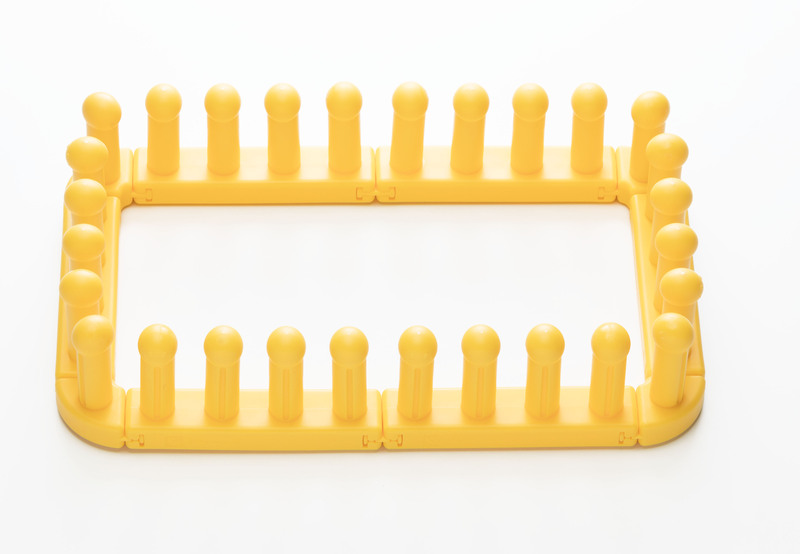 Creates up to 28 pegs for wider knits. Use 28 pegs for shawls, and scarves. Use 24 pegs for adult hats, or cowls. Make a 16 peg loom, with the “L” connectors for kid’s hats, and use the straight connectors for double knitting. Zippys + super bulky yarn to create super fast knits. Zippy works best with super bulky, ruffle, and boucle yarn or double strands. Use #6 or #7 super bulky yarn for best results.